How to integrate Salesforce with Incenteev ? Integrating your Incenteev platform with Salesforce allows to read automatically your data. Salesforce cloud is a customer relationship management (CRM) suite offering applications for small, midsize and enterprise organizations, with a focus on sales and support. Fast - Integration means admins do not have to manually enter data. On time - Updates will happen more regularly, so your teams will be able to easily follow their performance without interruption. Enhance CRM adoption - You can animate your CRM adoption within Incenteev through challenges or dashboards. That's a fun way to encourage yours teams to fill in the information in the CRM. 1. The simple automatic data integration: Create dataset updates based on SalesForce objects using Salesforce webhooks. 2. The advanced data integration: Create dataset updates based on SalesForce objects using reports and SOQL queries. 3. 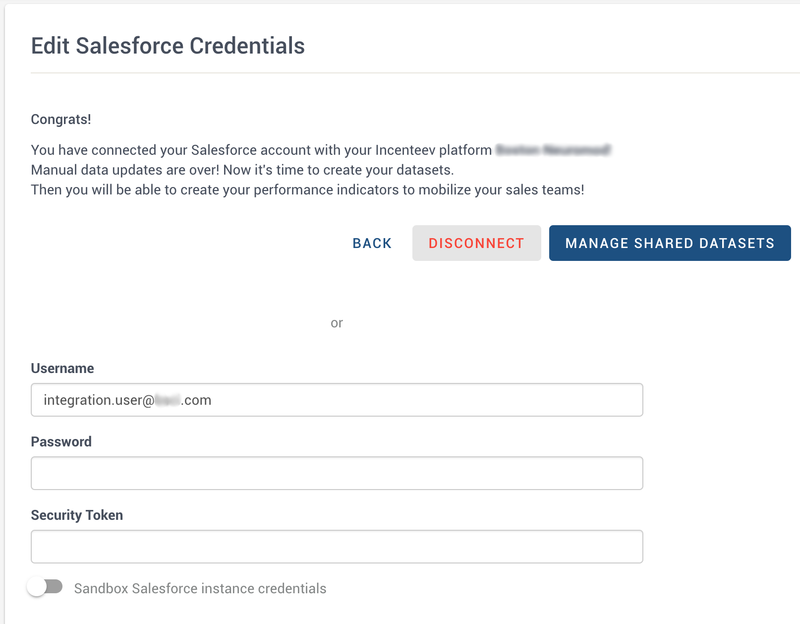 Synchronise users IDs on SalesForce with users accounts on Incenteev: Add Salesforce IDs to your Incenteev users accounts. You must allow Salesforce Integration: Go to “Organization Administration" and click on "Edit organization". Then tick "Allow Salesforce Integration"
You must have a System Administrator licence on SalesForce: You must have access to SalesForce and, more precisely, a System Administrator license. How to connect Incenteev with Salesforce? 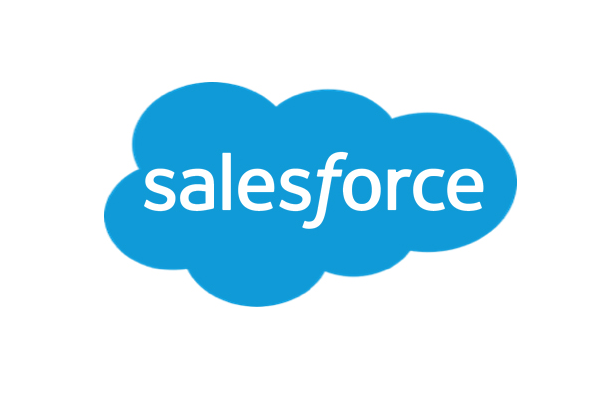 Click on the button “Allow the connection to SalesForce” You will be redirected to your Salesforce application. From there, you can allow Incenteev to read the data. You can also decide to set specific permissions at the Object level. Once done, you will be redirected to your Incenteev platform . The integration will be established in a couple of minutes. In order to match the data to the correct user ID, especially in the case of automatic simple integration with SalesForce, we recommend to synchronize the user IDs on SalesForce and Incenteev. In the case of advanced integration with SalesForce, using the SOQL queries you may skip this step if you decide to match directly the user emails in SalesForce with user emails on Incenteev in your queries. First of all, check that your users email adresses are the same on Salesforce and on Incenteev. Then, in “Organisation Administration", click on "Manage users” and on the button “Synchronise SalesForce IDs” symbolized by two arrows. As an admin, you will receive an email with the status of the synchronisation. This way you will be informed for which users the synchronisation failed because email addresses were not matching. In this case you can either change the user email address on Incenteev or on SalesForce. Only click on the button when you change emails in SalesForce, otherwise we sync automatically on the Incenteev side. Updates using SalesForce webhooks are available only for shared datasets. Salesforce uses Objects and Fields to store data. Standard Objects like Task, Lead, Opportunity are built into Salesforce whereas Custom Objects are created by your company. Fields help describe an Object... the who, what, when, where, how. Standard Objects have Standard Fields but can also have Custom Fields that are created by your company. When creating an Incenteev dataset you will select an Object and then work with it's Fields to create the exact metric/ indicator you want. Incenteev automatically reads all Fields related to an object. A dataset describes the structure of the data based on which indicators on Incenteev are created. This structure description is necessary so that Incenteev can read all the data provided via files/CRM integration/manually. Indicators are based on dataset and translates performance into quantitative metrics. How to update dataset based on Salesforce ? Datasets can be created when a dashboard or challenge is configured inside the space and/or they can be created directly at the organisational level at Organization Administration > Manage shared datasets". In "Organization Administration > Manage shared datasets" click on “ Create a shared dataset” and choose “ Select a Salesforce Object” Option. Select the Object based on which you would like to import data and name your dataset. By default, Incenteev gives it the name of the SalesForce Object. The “ Result Owner” section establishes if individuals OR teams get credit for the data. Usually we will assume that individuals own the data results. The “User field name” section indicates the field that describe the result owner for the respective SalesForce Object. Usually this will be prefilled with the Salesforce Owner ID field. Click “Save” to create the dataset! Once created all fields of the SalesForce Object will be automatically read by the dataset. Each update of data on SalesForce will also be reflected in real time on Incenteev. You can now create indicators! If you have 2 datasets based on the same SalesForce Object, one with “users” as result owners and the other one with “teams” as result owners we consider them different and hence we recommend distinct names. You can not delete a SalesForce object dataset if an indicator is already using this dataset. You must first delete the indicator/s. If you decide to “STOP UPDATES” you can not restart them again. Incenteev is allowed only to read SalesForce data to which access is granted. Incenteev will not modify data inside SalesForce, except creating and deleting own triggers. Access to SalesForce can be disconnected at any time from “Organisation Administration> Edit SalesForce credentials> Disconnect". Results on Incenteev are not up to date? -> Check with the SalesForce administrator that the account used to establish connection to Incenteev is a valid one, that means allowing to read all the data updates on certain Objects AND is not expired. The admin account based on which Incenteev integrated with SalesForce expired ! and click “ Disconnect”. Disconnecting will disable all SalesForce Object datasets that were created based on the automatic integration. You would need to recreate them. For the ones based on SOQL you can just re-enable them. Go again through the flow of connection this time choosing the right admin account email. We hope this helped. Don't hesitate to write us if you have any question. And as always every feedback is welcomed. See you soon on Incenteev !